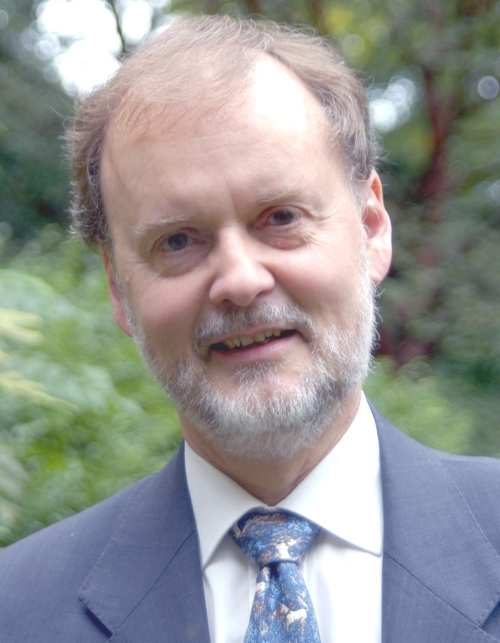 Professor Larry Hurtado (University of Edinburgh) discusses his views on the development of Christology and the concept of God in the New Testament, in two podcasts on Trinities.org. Dr. Hurtado explains the term “early high christology” and what it means when applied to his own work. He discusses various angels and men who in various ancient Jewish writings are in some way exalted and honored in God-like ways, and how these cases differ from that of Jesus. Dr. Hurtado has argued that in the early years of Christianity we suddenly see a distinctive pattern of Jesus-worship, as evidenced by the earliest books in the New Testament. Such practices don’t derive from a second or third century, Gentile Christian context, but rather from the earliest, largely Jewish Christian context. Hurtado discusses this in light of various passages in the gospel according to John, and also the statements of 1 Timothy that God is immortal. (1:17,6:16) The New Testament, he observes, emphasizes that Jesus was a genuine human being, a man, although in his view it also presents Jesus as existing even when the world was made, in a pre-human phase of his existence. God and Jesus, in his view, are closely linked, but also distinguished in the New Testament. God exalts Jesus to divine glory, which is why we must worship Jesus, according to early Christians. Worship of Jesus, he argues, has a theocentric (God-centered) justification or basis. He also comments briefly on James Dunn’s Did the First Christians Worship Jesus?, the idea that “worship” by definition can be given only to God, and whether we should start our christological thinking with fourth century or with first century sources. Although classical Israelite religion has very little to say about demons and other evil forces, but popular religion took it for granted that evil demons existed, haunting desert ruins and sometimes preying on people. In the late Persian and Hellenistic periods (4th—2nd centuries BCE) speculation about these types of figures proliferates. Incantations against demons, protective amulets, and practices of exorcism are all attested. Mythic accounts of the origin of evil spirits are developed, and the names and occasionally even the appearance of the demons are described. This talk will examine the origins and functions of speculation on demonic forces in early Judaism, a worldview with profound and lasting cultural effects. Although rabbinic Judaism largely rejected it, this worldview strongly shaped Christian religious beliefs. And while modernist Christians do not take the mythology of evil spirits literally, variations on these beliefs remain common among conservative evangelical and Pentecostal Christians throughout the world. Carol A. Newsom is Charles Howard Candler Professor of Old Testament at Emory University’s Candler School of Theology. She has written seven books and scores of articles, book chapters, translations, encyclopedia articles, and reviews. She has received several prestigious research fellowships, including grants from the National Endowment for the Humanities and the Henry Luce Foundation, and has won several awards for excellence in teaching and mentoring. She recently served as president of the Society of Biblical Literature and is a senior fellow at Emory University’s Center for the Study of Law and Religion.